This set was for our distance crew. 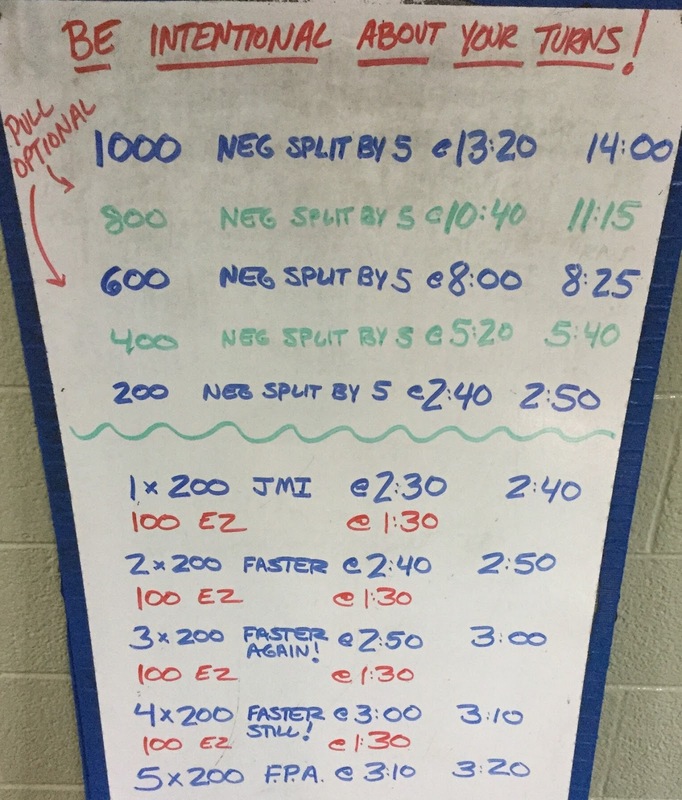 Above the green squiggly line, swimmers had the option to pull, and the instructions were the same for each swim — to negative split by 5. Below the line, we look for each progressively larger set of 200s to also get faster. We crushed it! The last set of 5 was great. This set was very mentally tough but I was proud of our kids for persevering! After the set, they were so hungry they ate my banana that I brought for a post-practice snack, hence the name.